I have a reputation as the ‘iPhone killer’. Me, the woman who will not kill a spider. Really. I’ll pick up (or capture) a spider and let it outside. Yet, I’ve earned the title of, well, to be more precise “Gadget Killer”. There have been many phones, a camera, and accessories that have had early deaths befall them at my hand. The first casualty was my first cell phone that took a swan dive into the toilet. I’ve washed a digital camera and several headphones in the washing machine. My husband has learned to empty his pockets. It was a hard lesson to learn. It was a day like any other day, really. I was getting ready to run some errands and stopped at the end of my driveway to check the mailbox. One of my neighbors was checking her mail, too, and we struck up a conversation. For reasons I will never understand, I laid my phone on the roof of my vehicle. I bet you can see where this is going, can’t you? After a few minutes of conversing, I get into my car and drive away. I was probably thinking about how much I hated going to the grocery store — it’s the bane of my existence. But I digress. I forced myself to do my grocery shopping. After loading my groceries in my car and starting the engine, I went to put my bag in the backseat. I don’t keep my phone in the front since I don’t talk/text while driving. As I did this, though, I just had this… feeling. I did a quick look for my iPhone. Dang, dang, dang! Where’s my iPhone? My first thought was that I left it on my kitchen counter, although, I knew deep down it wasn’t the case. 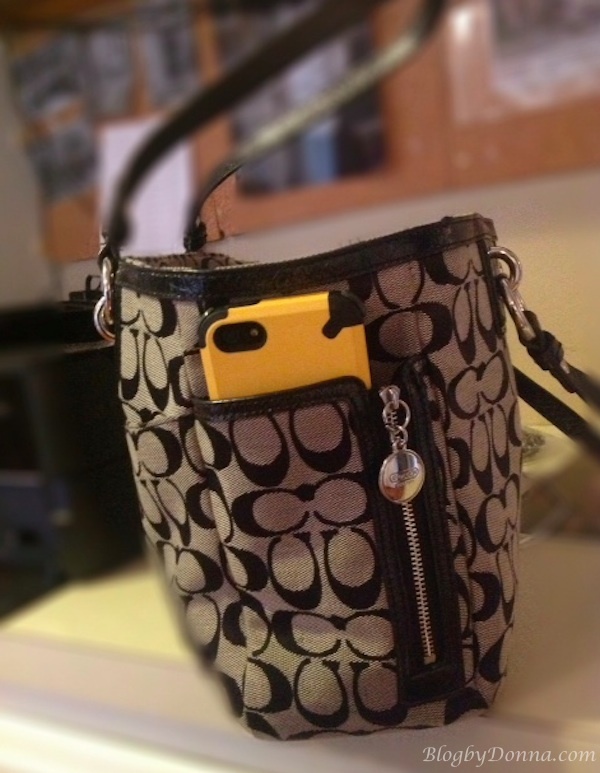 I rarely ever leave the house without my iPhone. I drove home, unloaded the groceries while simultaneously looking for my iPhone. I then proceeded to retrace my steps that day, which brought me to the edge of my driveway and street. Where I found my iPhone. Yep. It flew off the top of my car as I pulled out earlier. The whole screen was cracked/broken. <Insert sobbing> . I was distraught. And angry at myself. That was my panic moment. I realized that I HAVE to have a case for my iPhone. No if, ands, or buts about it.This was several years ago (early 2008)… today, my iPhone truly is my life line. It’s almost like an extension of myself. I’ve thought about having it surgically attached to my hand. Just kidding. Maybe. I do have my phone with me almost 24/7/365. I sleep with it next to me on my night stand. It’s in my pocket or my purse when I’m out. And I guarantee you, I don’t put it on top of my vehicle anymore. Ever. 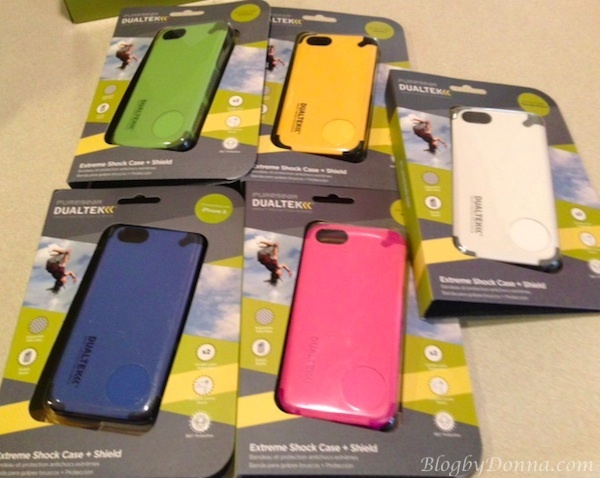 Now, I use my #PureGear DualTek iPhone 5 case to not only keep my iPhone safe, but stylish in all the pretty colors they come in. I switch colors to either go with what I’m wearing or my mood. Our phone is our life, why are we not protecting it? 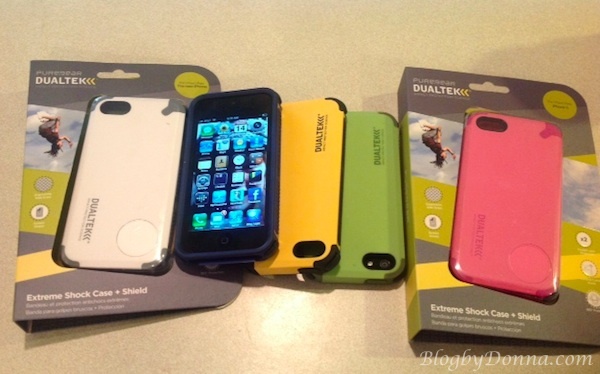 PureGear’s DualTek® Extreme Shock Cases provides the best protection against bumps, smacks, and knocks. 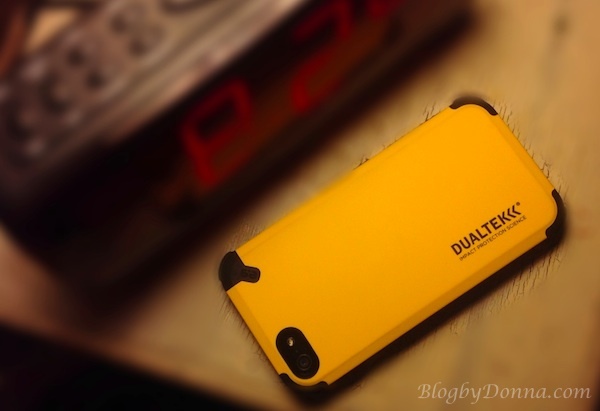 For a chance to win a iPhone 5 equipped with a full line of compatible PureGear’sDualTekExtreme Shock Cases, click here and enter your email address! This is a sponsored conversation written by me on behalf of PureGear DualTek. The opinions and text are all mine.